Summer is officially here! For everyone enjoying the wonderful, bright sunshine outside, the must-have item is a solid pair of sunnies. I happened to be on the hunt for a new pair of sunglasses when suddenly – BAM! – I fell in love at first sight. I wasn’t looking for just any pair of sunnies, I wanted something high-quality, unique, and fabulous (all-in-one, baby!) because nothing is worse than sunglasses that don’t last (RIP countless pairs of mine). Trust me, these babies got it all going on. Two words: Roberto Cavalli. Check out the iconic Italian brand’s sunglasses collection available at Puzzled Looks Optometrists & Opticians and who knows maybe you’ll fall in love at first sight, too. 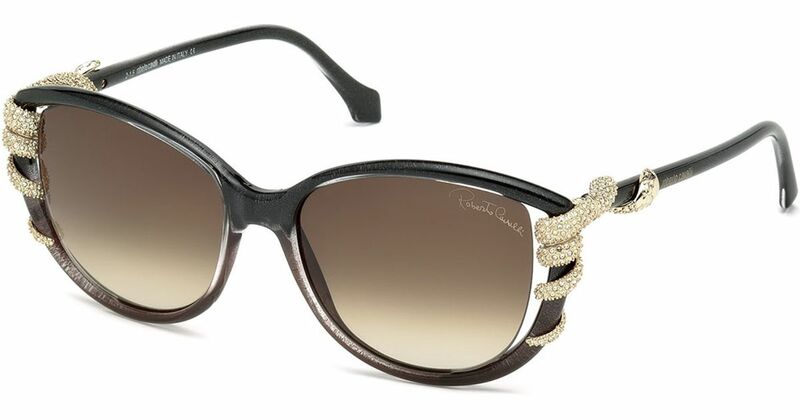 The beautiful designs instantly caught my eye because of the glossy studs and gorgeous patterns embellishing the frames (like the Yed or Sualocin cat-eye style). As I looked closer, I truly fell in love with the glamour, darling. And that’s not all . . . the Store Manager said sunglasses are 40% off if you visit the store before August 31. Talk about the puzzled look on my face (in the best way possible) when I heard about this designer deal! Now that I’ve fallen in love with these top-notch options, the toughest part is making up my mind about which ones to pick.